mini house mighty hearts: temporary-kitchen, heck yes! 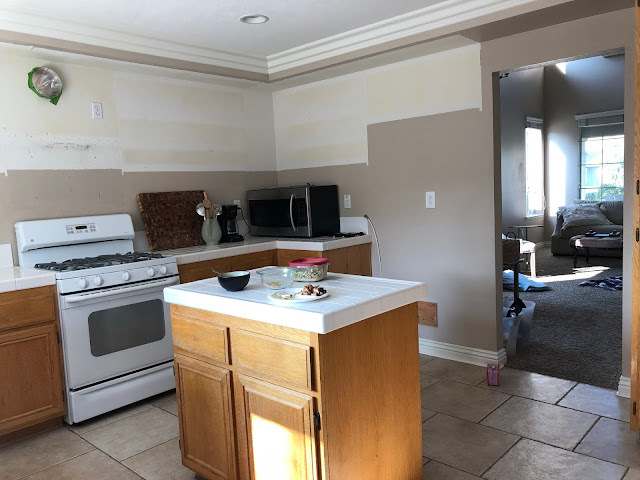 So anyway, we lived with our ripped-to-shreds-kitchen throughout 2018, even adding a nice coat of paint to the bareness of it all (feeble attempts to make it better hahaha!). Some people actually complimented us on the "minimalism" of the whole thing - thanks, friends, for being nice humans hahaha! The unspoken understanding between Chad and I was that we would tackle the space in 2019, giving us time to actually honor the whole thing, budget-wise. 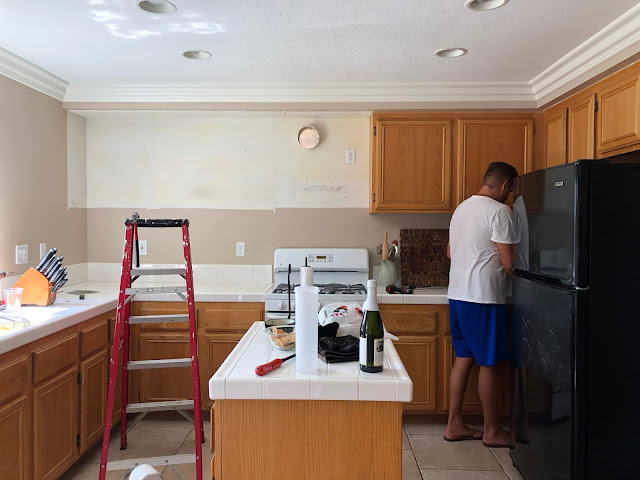 About a week ago, though, we decided that permanent-awesome-amazing-humongo-kitchen was going to need to wait until 2020 - waa waa. But I'm actually stoked. That way we can do it RIGHT, but in the meantime, something has to happen in that sad space! Enter TEMPORARY-KITCHEN! Guys, I'm so stoked. Guess what we're going to do. GUESS! Okay so temporary-backsplash is happening. 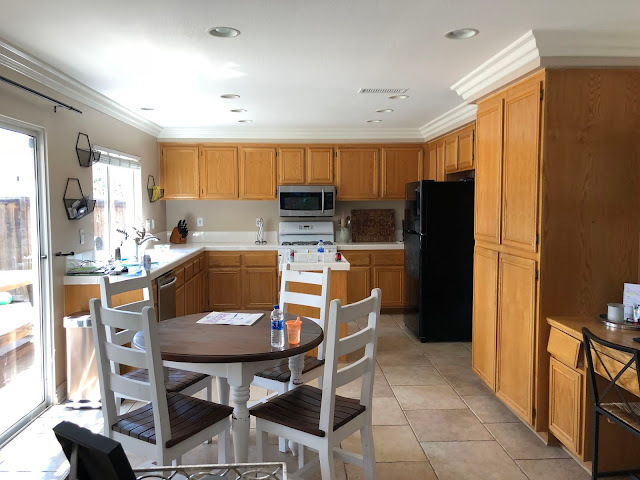 Then IKEA will be coming in hot with those cheaply-priced-but-pretty-and-very-wipable open shelves and good ol' Wayfair has our back in regards to a pretty-but-not-too-pricey range hood! All of these components are well priced - priority 1 was to make sure we went into the whole buying-of-things with the mindset that this is more of a "get us through" kitchen - not the big cahuna of materials and design. STOKED. Then for the island who's size we love, I'm going to take a little stroll on down to State College to see if they have any leftover stone lying around - I mean, how pricey could that possibly be to just place a thing of stone over it? We love that island! You know, in matters unrelated, it still blows my mind that some humans out there can just move into a house and instantly have the whole thing put together in a matter of weeks - some people even within the first day! We've been here for almost 2 years and we're STILL not even close. I'm not even talking about giant architectural elements like floors, kitchen and bath remodels - I'm talking DECORATIVE. Art. Side tables. Candle sticks. Frames. Throw blankets. The list goes on! Like this is wild! It is a WILLLLLLLLLLD FREAKING RIDE that requires a ridiculous amount of patience. I mean, sheesh man! I know I love this stuff so much so it's all good but man! 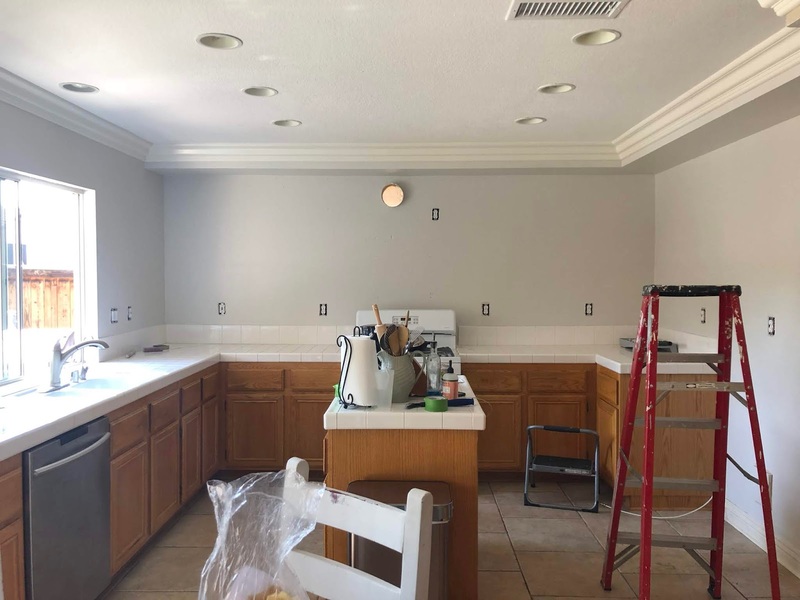 Interior design gods, please show favor to us Cisneros', if even just on the level of patience! Okay, done! 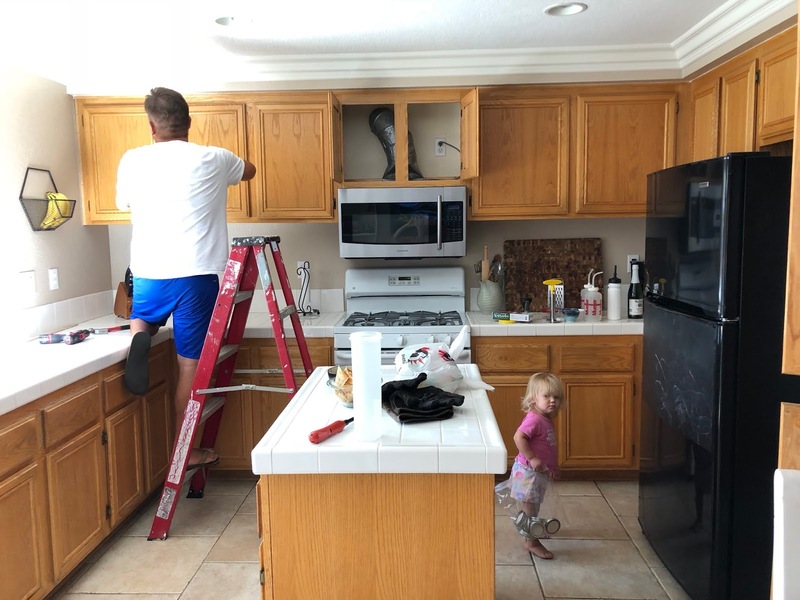 The kitchen will turn out great! !